The talk of the Environmental Protection Agency’s (EPA) ongoing effort to regulate dust at an unprecedented level is not new news. However, it is a hot button issue with all U.S. farmers that I am sure will continue to be front and center for awhile. Just in case you haven’t heard the Environmental Protection Agency is looking to tighten standards for the amount of harmful particles in the air, facing opposition from U.S. farming groups who call it an unrealistic attempt to regulate dust. The EPA is reviewing its air quality standards to comply with the Clean Air Act that prescribes reevaluation every five years. The agency’s scientific panel proposes either retaining or halving the current standard for coarse particles, commonly containing dust, ash and chemical pollutants–particles 10 microns or smaller in diameter, about one-tenth of human hair. Lawmakers from both parties also have been complaining about the reach of EPA farming regulations. Richard Lugar, a senior Republican Senator from Indiana, sent EPA Administrator Lisa Jackson a letter pleading for “common-sense” on dust regulations. It appears that that the National Pork Producers and the National Cattlemen’s Beef Association are not going to let this issue be forgotten. Stay tuned as things could become interesting in the next few months. I hope that this blog post finds all in good spirits, a warm place and that everyone has finally been plowed out after the nasty winter storm. For me all I can say is Brrrrr!!! And TGIF! Other than the normal who’s going where, what’s going on and you will never believe what my kids/ husband did, occasionally I do find a post on Facebook that proves to be of value. Yes social networking is sometimes useful. If you watched last night’s Greys Anatomy that talked about twitter you will know what I mean. Anyways…I have to thank a friend of mine from Ohio State for posting this link on his Facebook page because I found it to very interesting, especially because animal agriculture in a near and dear to my heart and many of yours. Thank you Stan Ernst. On Tuesday February 1st, Stan posted a link on his facebook page to a blog that was written by Mike and Pam Haley one of his former students at Ohio State. I will add that Mike is also a former acquaintance of mine from Ohio State as well. In response to Oprah’s one week vegan challenge to her staff and the audience, the Haley’s have invited Oprah to visit their West Salem, Ohio farm. I am not a big Oprah fan, never have been, but Stan said it best when he said “Now even that may make me watch daytime TV”. I hate to just copy and paste someone’s blog into a blog, but if I try to summarize I think the article will lose something. In any case below is the blog post that can be found on www.haley-farms.com. Haley Farms can also be found on facebook. Please do not hesitate to share what you think with the Haley’s. I am sure they would love to hear from anyone on what they think about this controversial topic. Today I did something I usually abstain from; I actually took time out of my day and sat down to watch The Oprah Winfrey Show. Why? Because she was talking about a topic that I care about, animal agriculture and the welfare of animals on farms. Of most importance, I wanted to see what her guest said about modern agriculture. Those guests included Michael Pollan, author of “Omnivore’s Dilemma,” and Kelly Freston, a vegan au thor and spiritual advisor. 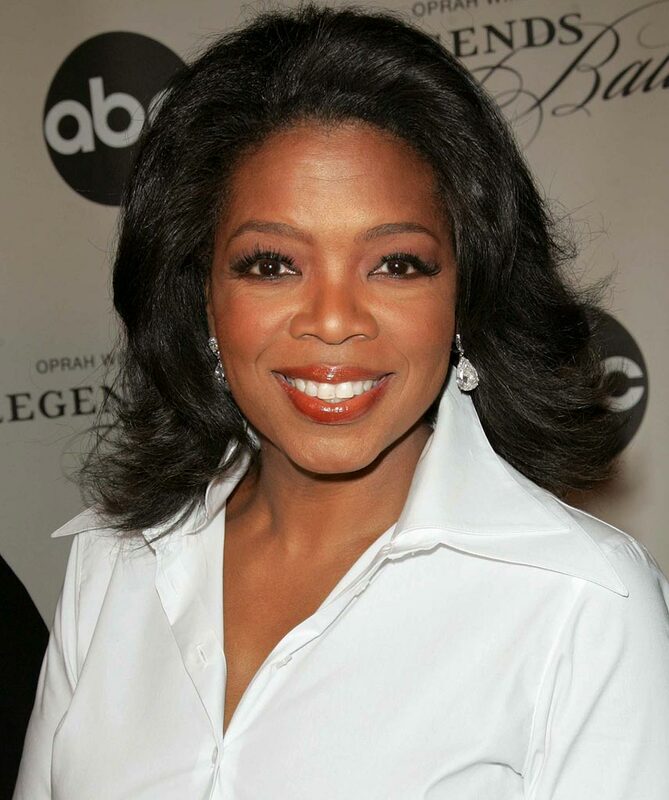 During her show Oprah issued a challenge to her staff and audience to go vegan for one week. In essence to fulfill Oprah’s challenge I began to make a list of things I would have to sacrifice for the week. I began with the logical answers of steak, chicken and milk. Then I started thinking about the definition of a vegan, I would have to give up all animal products, so I broadened my list to include gelatin, lanolin, rennet, whey, casein, beeswax, stearic acid, and broccoli. With all the talk of the imminent inclement weather I figured what better time to reminisce about the great blizzard of 1978. I will be the first to admit that I don’t remember anything about it because at the time my parents were still teenagers and I was an afterthought. But from the many stories I have heard it was a storm of unprecedented magnitude at least that is what the National Weather Service termed it. The National Weather Service defines a “severe blizzard” as a storm with winds of 45 miles per hour or greater; a great density of falling or blowing snow; and temperatures of 10 degrees or less. I don’t have to tell anyone of you that may be reading this that in fact; winds gusted to more than 100 miles per hour over much of the state, with sustained winds in the 45-60 mph range. Record snowfalls were recorded in many areas and all-time low barometric pressure records were shattered as the intense storm whipped the state . . . The Blizzard of 1978 was, in fact, the worst storm to ever occur in Ohio. For the young whipper snappers, like me, who don’t know in January and February 1978, a series of three storms hit the United States Midwest or the Northeast. These storms were some of the most severe winter events to occur in recent history, and collectively are known as the Blizzard of 1978. The first storm avoided Ohio, targeting the Northeast. From January 19 to 21, twenty-one inches of snow fell in parts of the region. This was a forty-eight-hour record for snowfall. The second storm found Ohio in its path. From January 25 to 27, between one and three feet of snow fell in Ohio, Illinois, Indiana, Kentucky, Michigan, and Wisconsin. Winds averaged between fifty and seventy miles per hour, creating snowdrifts as deep as twenty-five feet. With temperatures already hovering near zero, the wind chill was deadly, reaching sixty degrees Fahrenheit below zero. Thousands of people were stranded in their cars and in their homes. For the first time in its history, the entire Ohio Turnpike closed due to the blizzard’s severity. One semi-truck driver was buried inside of his truck by a snowdrift. Rescuers did not discover him for almost one week. Thousands of homes and businesses lost electricity. As the storm moved eastward, warmer temperatures converted the snow to ice, paralyzing the Northeast. Over seventy people died in this storm; fifty-one of the victims were in Ohio.